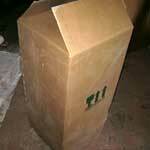 We offer a wide range of user friendly heavy duty cartons in different designs and in all sizes. Designed to be strong, these heavy duty shipping cartons are made up of coated, puncture resistance and stiff paper. 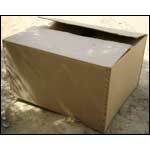 Used for both industrial and commercial purposes, we offer a diverse range of cartons. Manufactured from high quality paper, these boxes are water and chemical proof. The unique features of these boxes are that they are re-usable and do not get damaged easily. In addition, we are an advancing heavy duty corrugated cartons manufacturer from India; having huge popularity among consumers.